Guys aren’t great at grooming. Ask any experienced barber, accustomed to helping clean up the mess men make of themselves day in and day out, and he’ll tell you: looking after their appearance is just not something that comes naturally to most guys. This is why a barber is such an important figure in a man’s life. Sure, most of the time he might be content with the odd shampoo or cursory shave, but put a job interview or first date in front of him, and suddenly, he’ll make it your job to undo days or even weeks of personal neglect. And when that day comes, you need to be ready. We’re talking battle-ready, with every possible weapon of mess-destruction in your utility belt, prepared to wage war against dry and damaged hair, tangled beards, furry necks, lengthy sideburns, unkempt eyebrows, and even untrimmed, untidy forests of ear hair. Yup, men aren’t great at grooming – which is why they look to you, their barber, as a miracle worker, armed with rare skills, expert insights and years of diligent training, ready and waiting to get them looking great, and feeling even better, in no time at all. Everyday, men from around the world use our products to look and feel better. 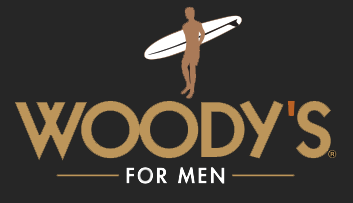 We use the highest quality, natural & organic ingredients to offer the most effective men's skincare and grooming products available - We Guarantee It.